This presentation folder comes in 5 most well-liked opaque colors. 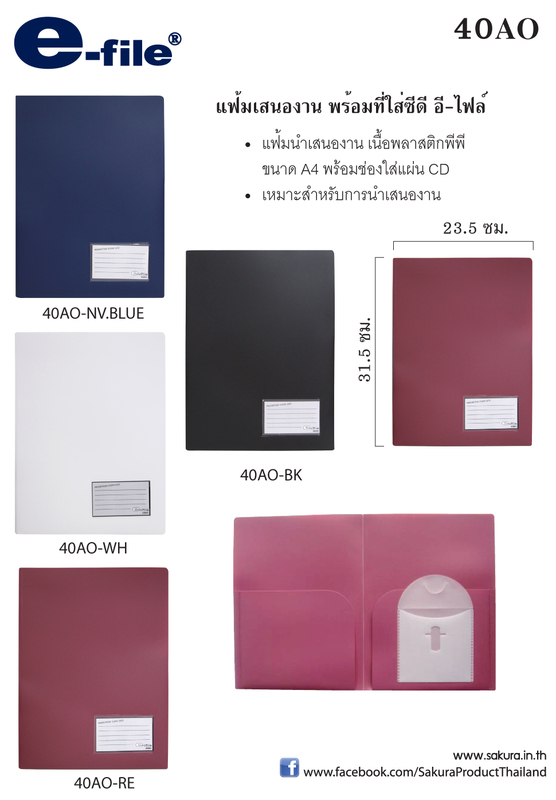 Feature one small envelope attached to inner folder for CD plus one pocket on the front cover for details of the folder. Size : 23.5 x 31.5 cm.